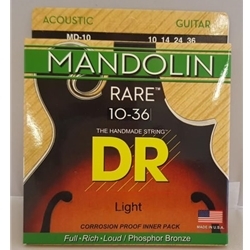 The DR RARE mandolin strings are designed to last longer than other strings. They have a tone that will surprise and please the most experienced player. Crisp and warm, DR Rare phosphur mandolin strings stand out whether you are playing in a group or as a soloist.